Very special and off mainstream. It's no failure to try it. Powerful. At first some grainy and yeasty notes come up which then change into coffee. The influence from the sherry wood is obvious and strong. Unfortunately the quality of the sherry is quite low, which then leads to notes of burnt cake, burnt sugar, liquorice and aceto balsamico. I get some fruity notes of black currant as well. Not really unpleasant but also not the way that I like sherried whiskies to be. Powerful and bold. In the beginning there is full sherry and Guinness with a little aceto balsamico, becoming really hot, salty and spicy soon before some liquorice and burnt caramel are coming up as well. Interesting and neither pleasant nor unpleasant. Hot, spicy and dry with wood and burnt caramel. There are also still notes of Guinness, which probably come from the barley. Nice glow, must have been an Oloroso cask. Again, not the typical Laddie, but nice for a youngster. Very surprising, after the bad notes this dram got elsewhere. Very clean and sherry like. 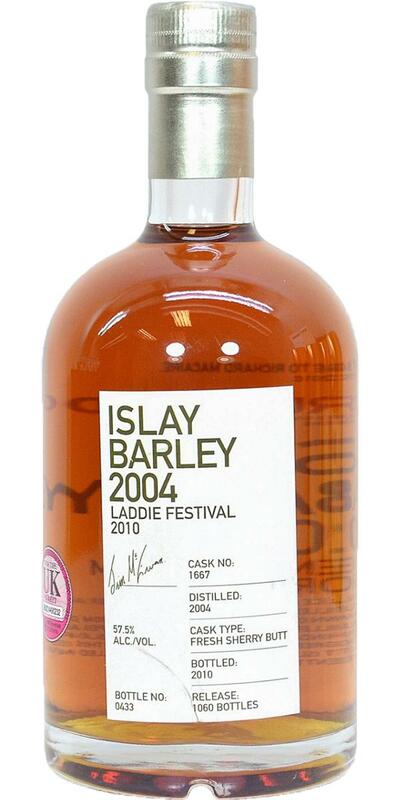 Dry grainy notes - read barley - and rather fruity raisinlike sherry, but not sweet. 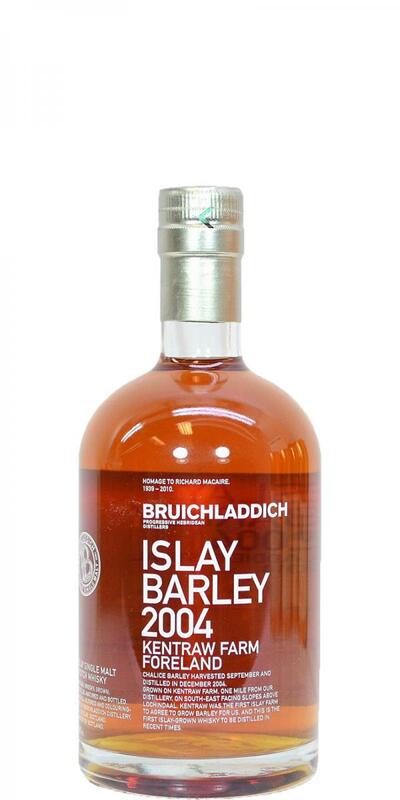 Not the typical Laddie, because of the dryness. Some might think there is a little cardboarness here, but for me it is rather the sherry character. Otherwise a typical salty note, even dark chocolate and still the fruity notes we had in the nose. Medium long, but on nice dry sherry notes. Must have been an active cask. I like it.